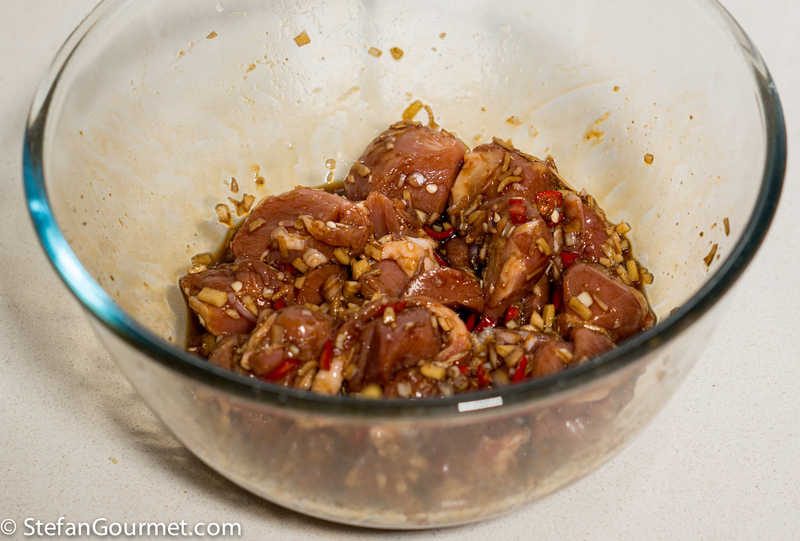 Start by mincing the ginger, garlic, shallot, chilli, and lemongrass. Combine them in a bowl with 1/2 tsp ground coriander, 1/4 tsp salt, 2 Tbsp of kecap and 1 Tbsp of lime juice, and stir to mix. If not, marinate for at least one hour. 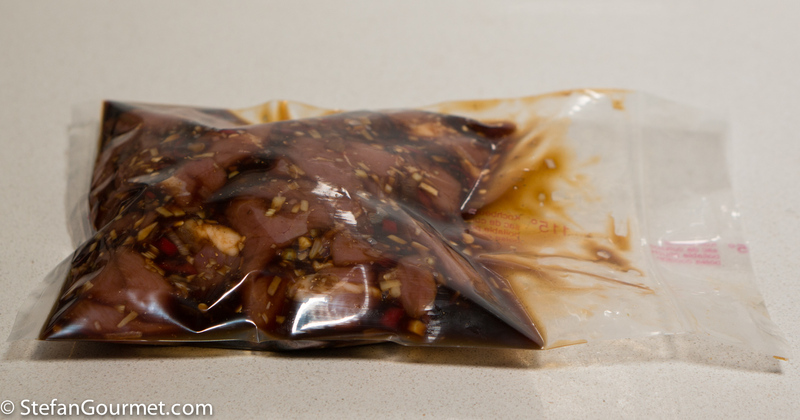 After cooking sous-vide, the meat will have released some juices that are mixed with the marinade. Separate the marinade including all the solid bits from the meat and reserve. Pat the meat dry with paper towels. Preheat the broiler (or even better, prepare a charcoal grill). Put the meat on skewers. 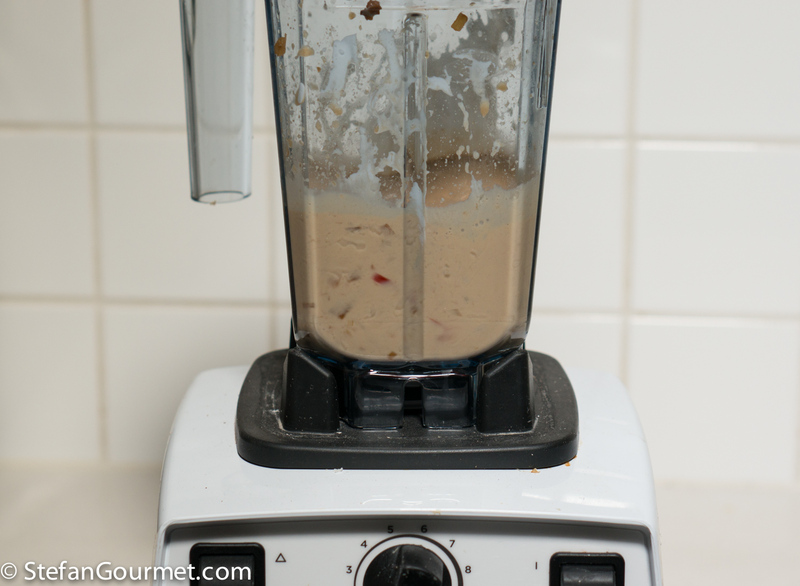 Put the reserved marinade in a blender with 2 Tbsp peanuts and 4 Tbsp coconut cream. 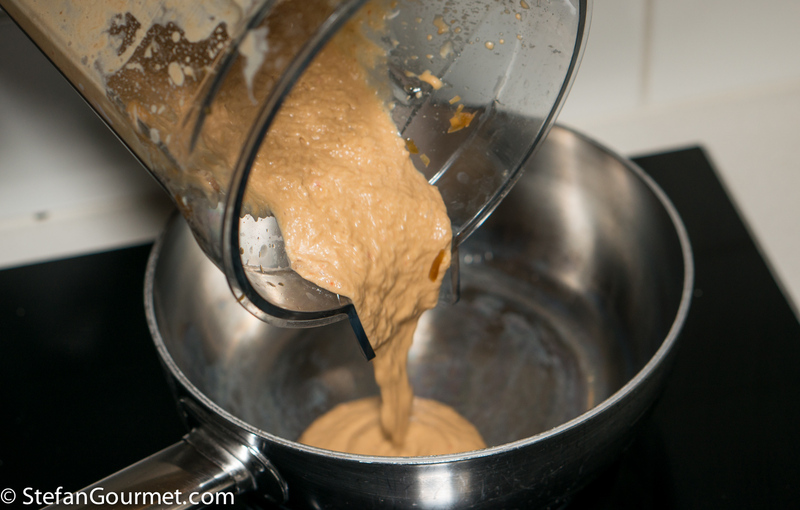 Transfer the mixture to a saucepan. Bring to a boil, stirring, and cook until reduced by about half. 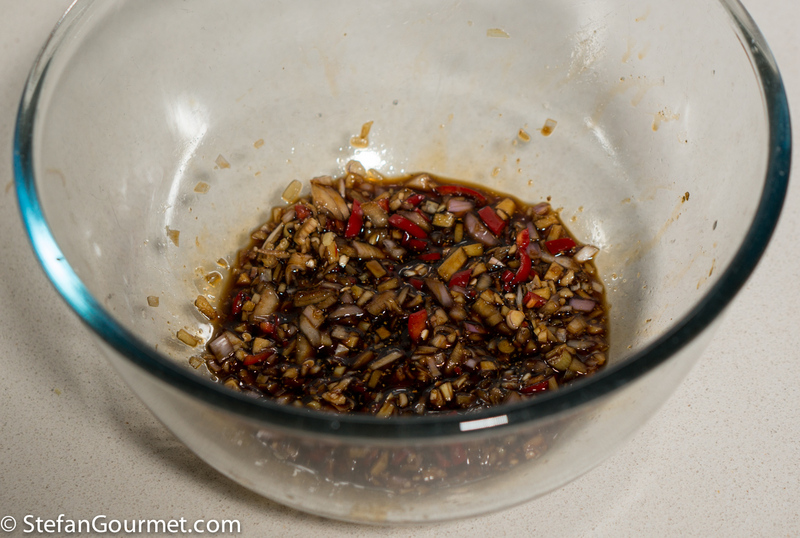 Add kecap to taste (I added about a tablespoon). 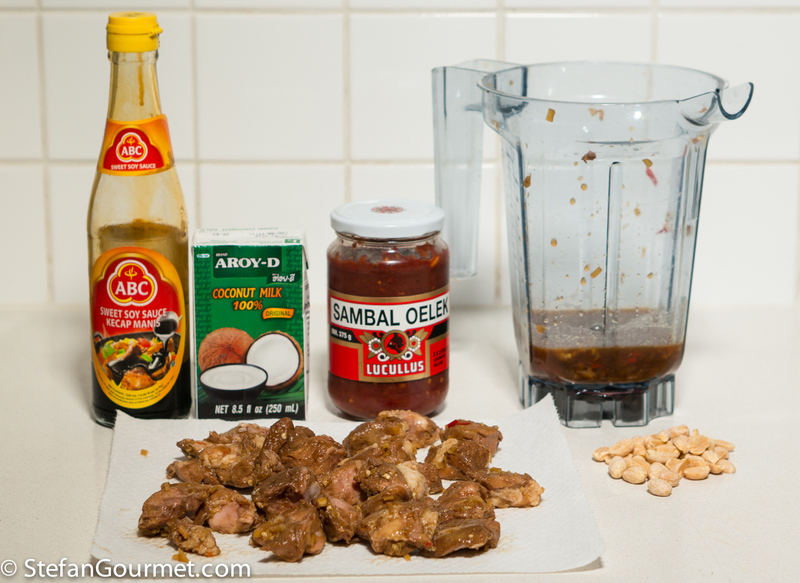 Add sambal ulek to taste (I added 2 tsp). Keep the sauce warm over very low heat. Grill the lamb skewers until they are golden brown on all sides. If you cooked the meat sous-vide, this has to be on very high heat as the meat is already cooked through. If you have only marinated the meat, use moderate heat to ensure that the meat is golden brown on the outside and just cooked through on the inside. 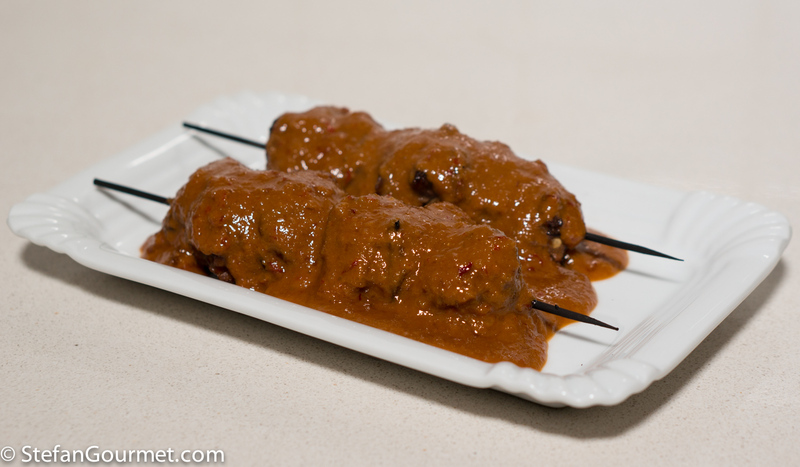 Serve the satay with the peanut sauce. 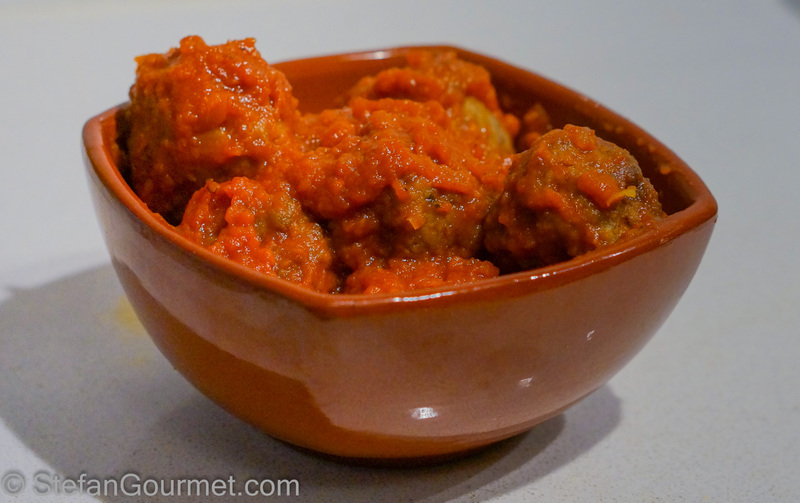 Albóndigas are Spanish meatballs in tomato sauce, a famous type of tapas. L’aspetto è splendido ma c’è sempre il problema del lamb! Neanche da noi. Per questo avevo usato l’agnello. Però se puoi trovare gli altri ingredienti, sarebbe anche buonissimo con coscie di pollo o filetto di maiale. This sounds so delicious! I would put that peanut sauce on all kinds of meats. Geography, pure geography – this obviously is more common here than the proverbial ‘fish and chips’, but have to admit the first thing most of us do when landing in Malaysia, Philippines, Thailand or, of course, Singapore is to head to a street food seller for their inimitable take!! Even tho’ the dish originated in Java 🙂 ! But there would be few Down Under families who would not cook such regularly and it is a beloved party/barbecue dish to go with the tinnie! 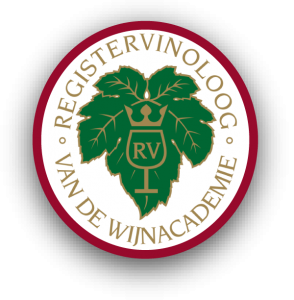 Googled to find you certainly know about it in the Netherlands!! 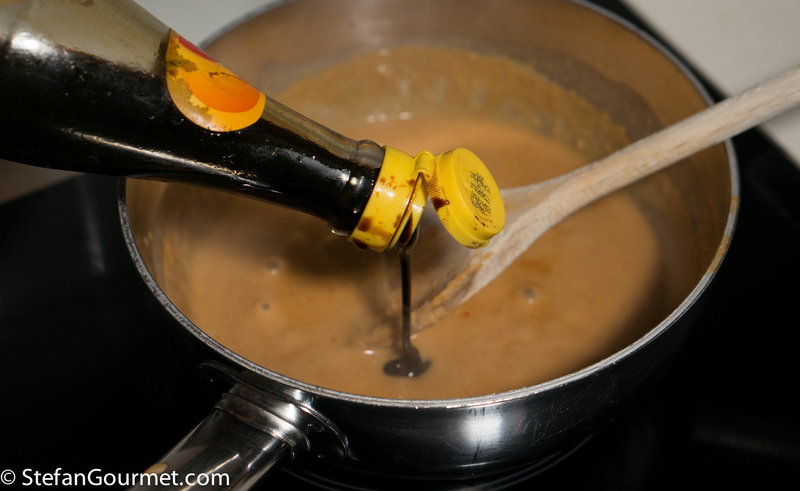 Personally use ordinary soy as well as kecap. Again geography: have never seen the sauce atop the satays: here it very definitely is a ‘dipping’ sauce and the satays off a flaming grill are served dry . . . horses for courses!!! Delicious. One of our favorite sauces, also great with traditional Asian sautéed veggies. All of us are on a learning curve: would really love to know your variation of Chinese ‘vegetable’ stirfry including peanuts. And which vegetables you regard and use as ‘Asian’. My aplogies! I only asked as ‘Asia’ is such a vast continent and one can hardly compare Kashmir with Afghanistan with Tibet with Kerala with the Deccan with Myanmar with Hunanese or Hainanese etc etc for pages. 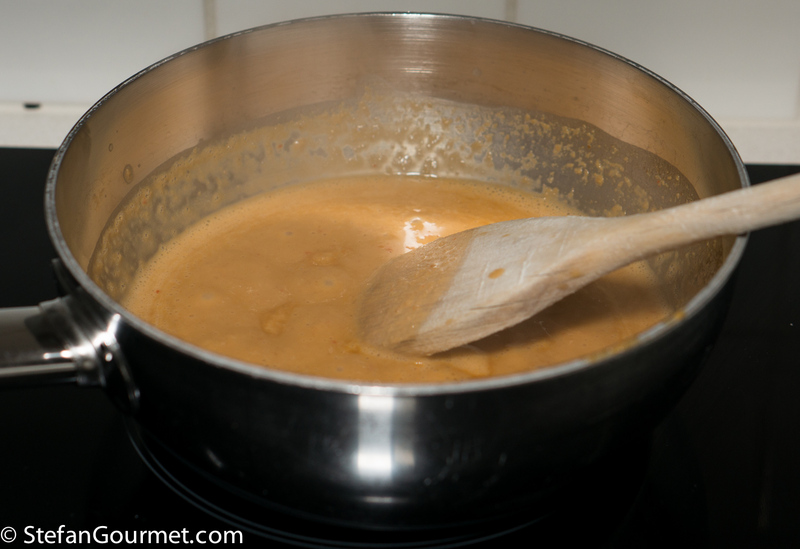 To the best of my knowledge very little peanut sauce [which I would not use often for health reasons already!] is used with vegetables bar in the ‘satay’ countries of Indonesia, Malaysia or Thailand. 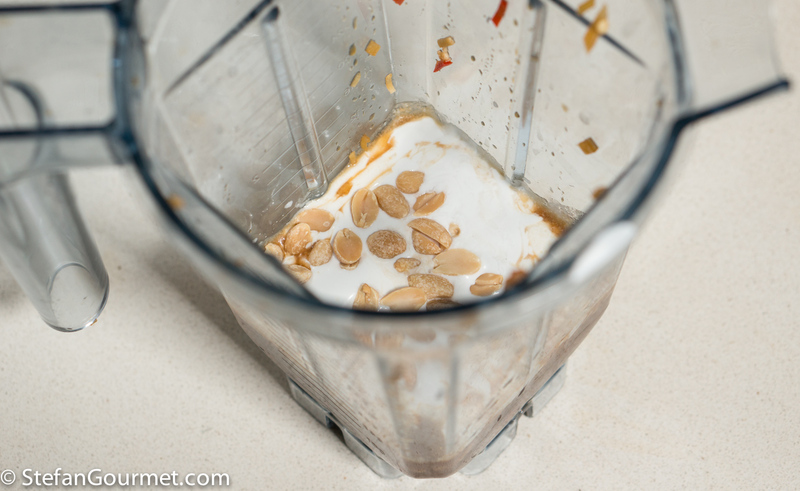 I cook vegetable recipes from various provinces of mainly China and Vietnam at least 3-4 times a week and do at times use whole nuts but rarely come upon peanut sauce which would not easily blend with many of the usual ingredients . . . so just thought you had specific recipes or knowledge. No apology needed! Asia is a vast continent! I have friends from many Asian countries. I should have specified further to the exact region. I’ll have to check out your blog. Hello and thanks! I am afraid I do not have a blog: I work and study, both fulltime and am on a lot of panels and committees and living semi-rurally find it difficult to access ingredients etc – a big garden and house to look after . . . also . . . am just a cuckoo in many nests 🙂 ! All the best 🙂 ! Another winning dish Stefan! I could eat that right now. 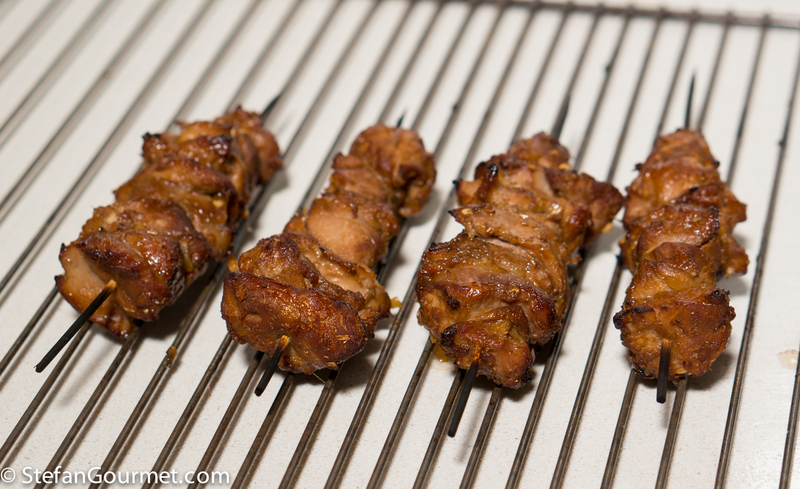 I do chicken satay frequently in summer as it tastes so much better on the BBQ. My sauce is much lighter in color, must try yours now to compare. 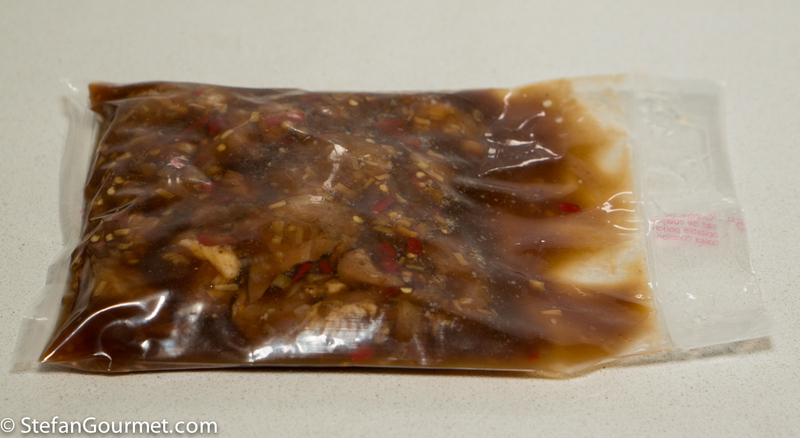 As you can see my sauce started out lighter, it is the additional kecap that makes it darker. Spero che ti faccia piacere che ti abbia taggato. https://violetadyliopinionistapercaso2.wordpress.com/2016/04/02/tag-non-si-buttano-gli-avanzi/ Sarei felice di sapere le tue opinioni. These read really well Stefan. The Indonesian food is so available around Amsterdam, its good to see you cooking it (better than the restaurants). 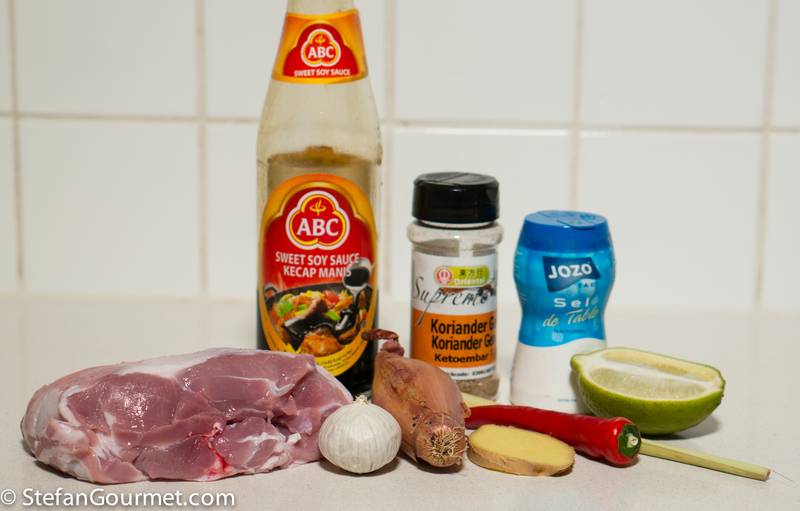 I’ve been cooking with curries and the like, of late Stefan,and lamb has often been the protein of choice. I’ve noticed more goat available now, however, and am anxious to “play” with it, too. You’ve just given me a great dish with which to start. It really does sound delicious! Sounds great, but I want to preparere it for tonight. I will use pork tenderloin. You suggest 12 hours at 55C/131F for the lamb, what to do with the pork in about 6 hours sous vide? And finish it on the grill plate. Hi Frans, for pork tenderloin 2 hours at 55C/131F is plenty. Thanks, it was indeed plenty. But great taste! However the meat could have used a bit more bite. So what would you suggest, shorter “bathing” or lower temperature? 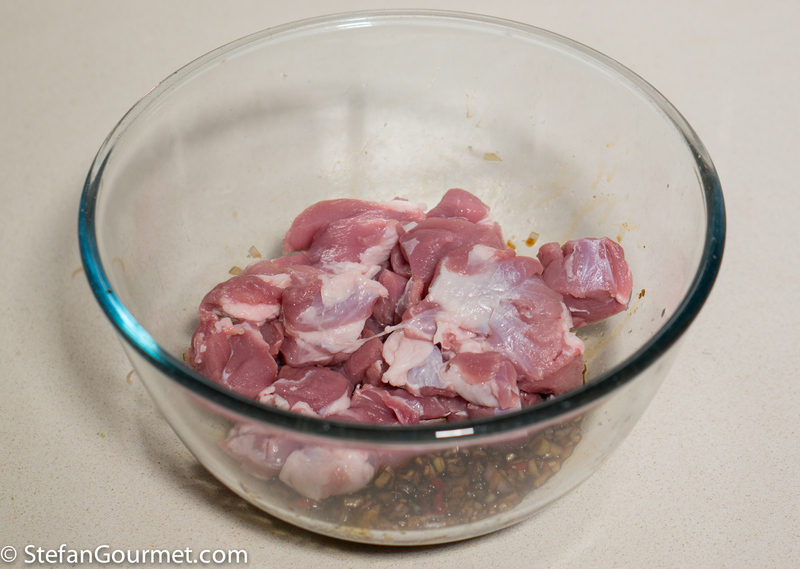 For pork tenderloin (or chicken) you could skip the sous-vide altogether because it is not needed for tenderness. It is however handy to know for sure they are cooked through. You could cut the time down to 30-60 minutes; for temperature I wouldn’t go below 55C/131F with pork or chicken. This worked well with lamb leg and no sous vide. I particularly enjoyed the sauce – more intense tasting that what i have made before. There is a high end Sydney restaurant only a few blocks from here and they serve satay on Sundays with a very similar tasting sauce. Interestingly it comes atop the meat rather than served separately. 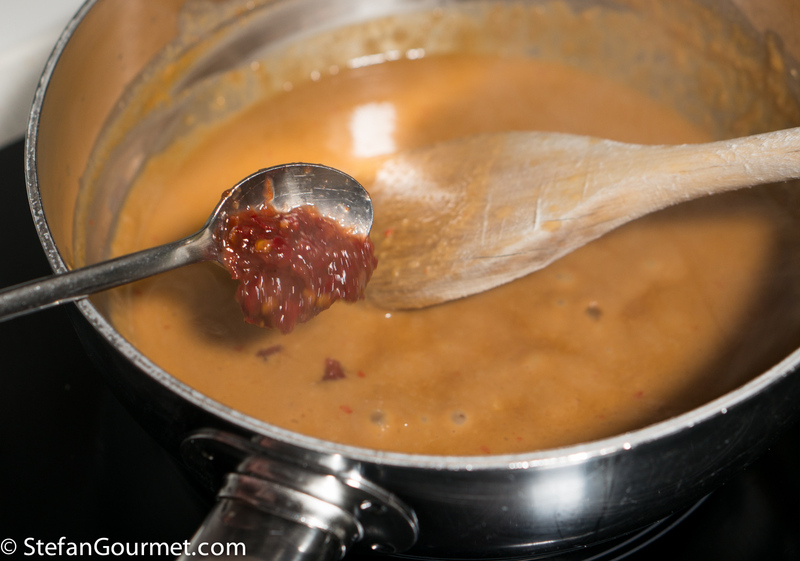 I really liked the sauce as well and thought it was better than the sauce I used to make (recipe on the blog).